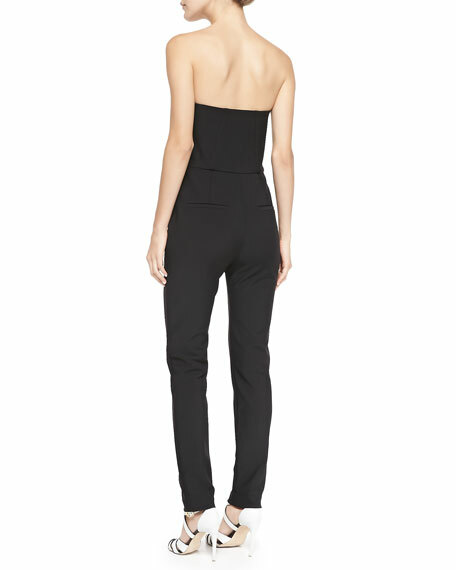 Veronica Beard ponte bustier jumpsuit. Approx. measurements: 9.5" rise, 28.4" inseam, 38.5" outseam, 12" leg opening. Strapless neckline; boning for support. For in-store inquiries, use sku #881332.